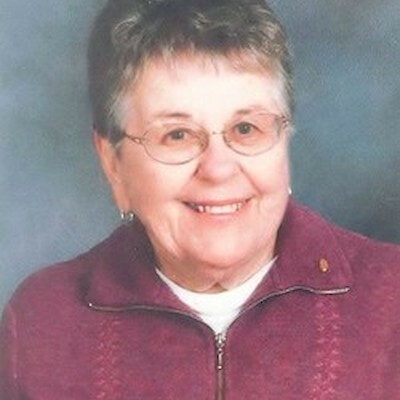 Beverly Lou Duncan, 87, of Cumberland passed away peacefully in the late hours of April 11, 2019 at Care and Rehab-Cumberland. She was born August 7, 1931 in Cumberland to Emil and Loretta (Hubbard) Stoll. Bev graduated from Cumberland High School in 1949 and began her family in 1952. Bev retired from Centurytel after many years and spent her time traveling with friends and family. Her greatest joys were spending time with family, enjoying the outdoors, camping, reading, visiting, Eagle Point and short road trips. She was an active lifetime member of First United Methodist Church and volunteered her time at the Blood Bank. Bev led by example and served as a constant source of inspiration to not only her family but to her extended family and friends. Even until the end of her life, Bev would greet you with a kind word and a smile. She is survived by her loving children: David (Aurora Ute) Duncan of Lampasas, TX, Shelley (Randy) Whitman of Eau Claire, Susie DaBruzzi O'Connell of Cumberland, Loree (Mike) Miller of Cumberland, Rob (Kathleen) Duncan of Cumberland; a special niece who is more like a daughter, Misti (John) Cichosz of Menomonee Falls; grandchildren: Kristen (Andrew) Gast of Ashland, OR, Noah S. von Benzerath, Devon (Kelly) Whitman of Rock Falls, Taylor Whitman of Ellendale, MN, Emily (Christopher) Smith of St. John's, FL, Molly DaBruzzi of Cumberland, Nolan (Renee) DaBruzzi of Baldwin, Jason (Julia) Zappa of Chetek, Eric (Kaleigh) Zappa of Cumberland, Mitchell Miller of Cumberland, Megan Miller of Cumberland, Ryan (Britta) Miller of Menomonie, Kevin (Sarah) Miller of Cumberland, Erin Miller of Menomonie, Alex Duncan of Madison, Tess Duncan of Madison and Liz (Nate) Froehlich of Cumberland; great grandchildren: Weston, Wyatt, Rayce, Camryn, Trenton, Brayden, Baby Maxwell, Jackson, Kamry, Zachery, Nolan, Joe, Matt, Owen, Griffin, Everett, Bryson, Brooks and Gianna; her brother, Gary (Sharon) Stoll of Lakeland, MN; many nieces, nephews, other relatives and friends. Bev was preceded in death by her parents; infants siblings: Rita and George; brothers: Vernon, Lloyd and Glenn Stoll. A service celebrating the life of Bev Duncan will be held at 11:00 AM Saturday, April 20, 2019 at First United Methodist Church - Cumberland with Rev. Mike Brubaker officiating. Serving as urn bearers are Jason Zappa, Devon Whitman, Eric Zappa, Nolan DaBruzzi and Mitchell Miller. Visitation will be from 1 hour prior to the service on Saturday.